The weather has been warming up nicely, the flowers are looking blooming lovely and the clocks have gone forward – that can only mean one thing. It’s time to go boating! 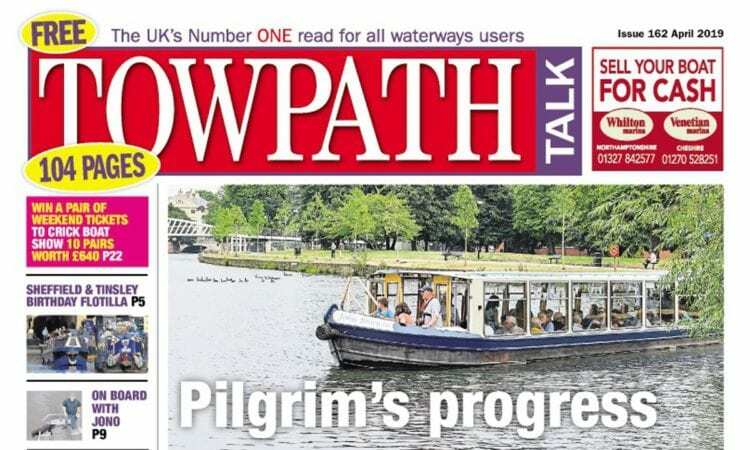 The April issue of Towpath Talk is available from chandleries and other boating-related outlets, or, of course, you can subscribe for just £11.99 for 12 news-packed issues if you want to make sure you keep abreast of everything that’s happening in the UK waterways world across the whole year. The latest 104-page publication is full to the gunnels (or gunwales, if you prefer) with boats for sale, so if you’re planning to buy your own boat, or thinking of taking your holidays in the UK this year, there’s plenty of food for thought. 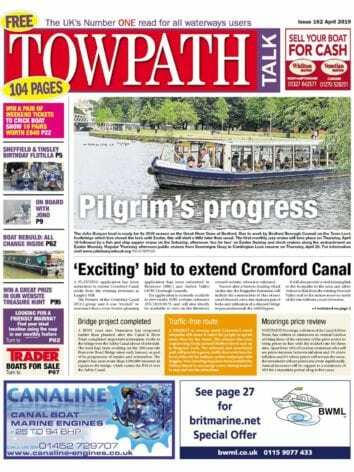 It’s also the time of year to start making notes in your diary of the numerous events that the summer months will bring, and Towpath Talk has plenty of news about festivals and gatherings that will draw the crowds. People and pets go hand in hand in this busy newspaper, and you can read all about the latest ‘pets on the cut’ in Alison Wilkerson’s latest column… it’s a quartet of cats who absolutely love their liveaboard life on a 1978 narrowboat. On the same page, another Alison – Alison Alderton – accompanies Barge Beagle as he sniffs out some canine capers with his crew. This month, he follows his nose to Ireland’s Warren Point and the lost township of Rindoon. 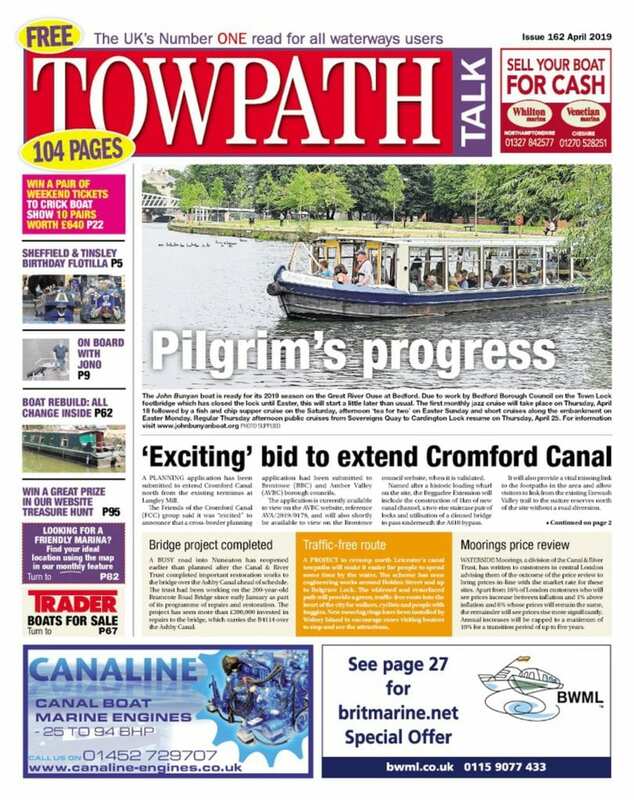 The 20th annual Crick Boat Show takes place over the late May bank holiday weekend and Towpath Talk has 10 pairs of weekend tickets, each pair worth £64, to be won in an online competition. So why not head over to www.crickboatshow.com/competition/2019 to be in with a chance of winning? A little later in the year, at the end of June, it’s time for Braunston Marina to take centre stage. Enjoy a look back in time with Tim Coghlan as he charts the life of 79-year-old Jim Hambridge, who has attended every Braunston Historic Narrowboat Rally since the gatherings began in 2003. Scottish correspondent Cicely Oliver shares a special tour of the Falkirk Wheel and reports on many more things happening north of the border. And wrapping up the issue in his own inimitable style is Cracker the boat horse, who has been trying his hand at poetry this month. He hopes you’ll be impressed!